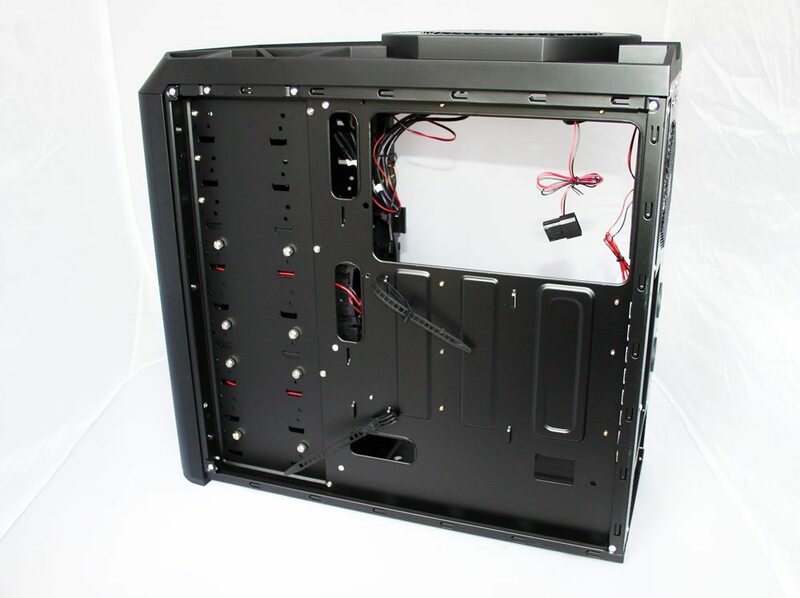 The right side panel when removed reveals the endeavours Antec have made to make this case compatible with many motherboard types, as well as CPU cooling backing plates; hence the large removed section for easy access. On top of this there are many slots for cable routing and ties to keep things neat and tidy. As far as optical drives go, it’s a simple screw mechanism here. No tooless installs in this case. No tooless clips on the PCI brackets either. Screws are better than crap clips, but getting a screwdriver can sometimes be a pain. Lian Li do good clips Antec, nudge nudge, wink. Unpictured here is the floor SSD mount which is essentially four holes in the base of the case. It’s a nice addition, but hardly something to tout. 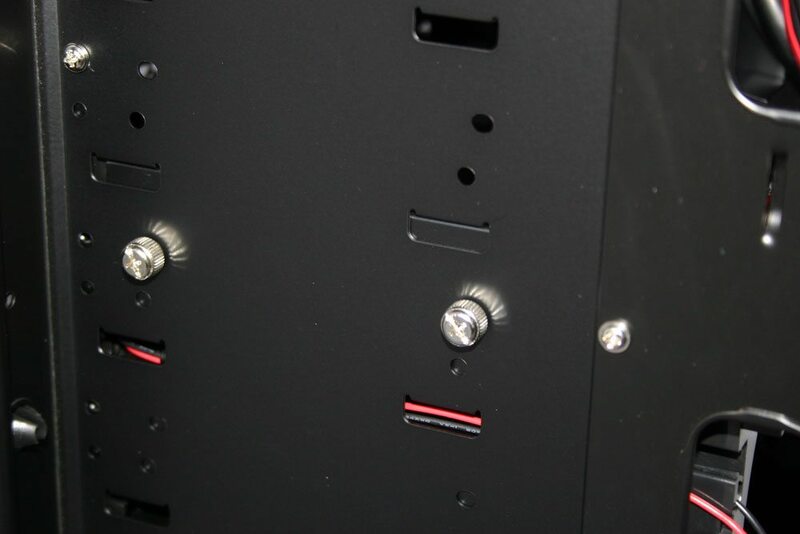 One feature I would liked to have seen is an area for the PSU to draw air from under the case. 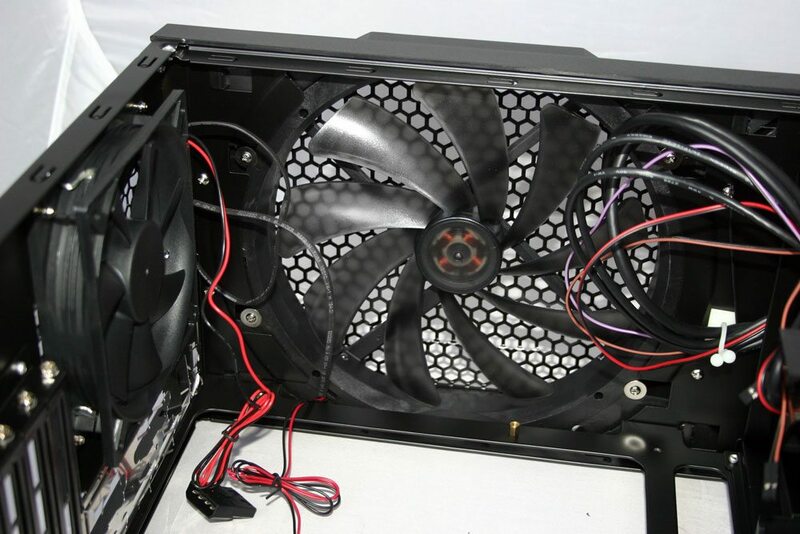 This allows the PSU to isolate its cooling loop meaning it is not affected by, and can not effect, the rest of the case.